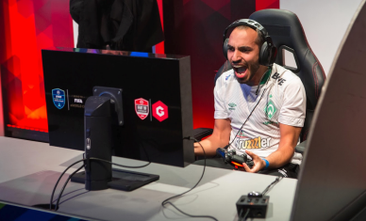 The Gfinity FIFA Series January kicks off this Friday! Time to find out all of the players who have qualified for this event and also who is in our talent team! Joining us as commentators and hosts will be Gfinity regulars Tom Deacon, Chris "The Trout 91" Trout, Mark "Onset" Hatcher, Lottie Van Prag and a team of FIFA experts & pro players who will be lending us their knowledge of the game throughout the event. You will be able to catch all the action starting this Saturday, at 1:45 PM GMT on our Twitch channel or in person if you manage to grab one of the FREE TICKETS to the Gfinity Arena! Introducing the Gfinity FIFA Series January!